Nancy Kollock attended the premiere Bicentennial event hosted by the Habersham Historical Society – An Introduction to Juneteenth at Historic Daes Chapel. At that event, Dr. Doris Davenport read from her Soque Street Poems (cover illustrated by the late John Kollock). The following week, The Northeast Georgian asked for a few comments about the event and Dr. Davenport suggested that we ask Nancy for her thoughts. After giving her statement, Nancy offered to do a presentation for the society – of John’s work and what her life was like with him. John Kollock painted Northeast Georgia extensively. 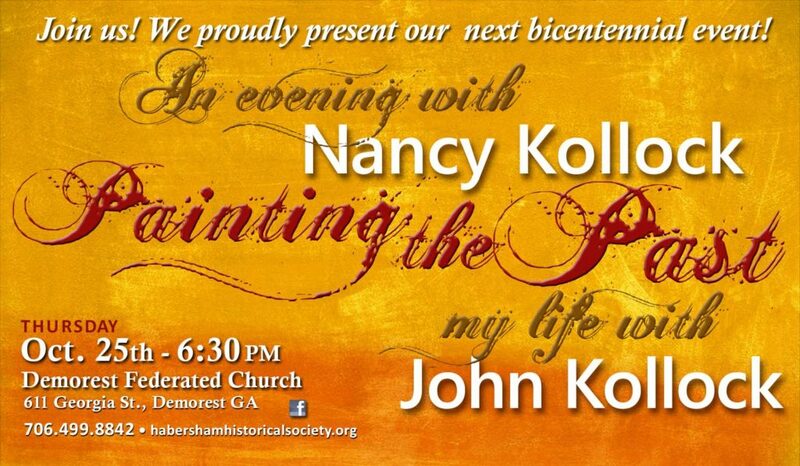 Nancy will present his art and his stories. She will give us an inside glimpse of how he worked and compiled his historical data. We can only imagine what it must have been like roaming the area, meeting people and seeing a scene from the past come to life. 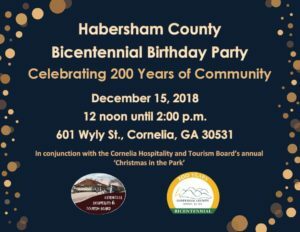 For more information, visit Habersham County Historical Society.